Kirsty before the Leeds 10k. 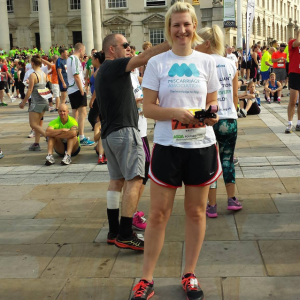 “Thank you for letting me run the Leeds 10k on behalf of the Miscarriage Association. I managed to raise £150 and I hope this helps the charity continue to do such a good job.